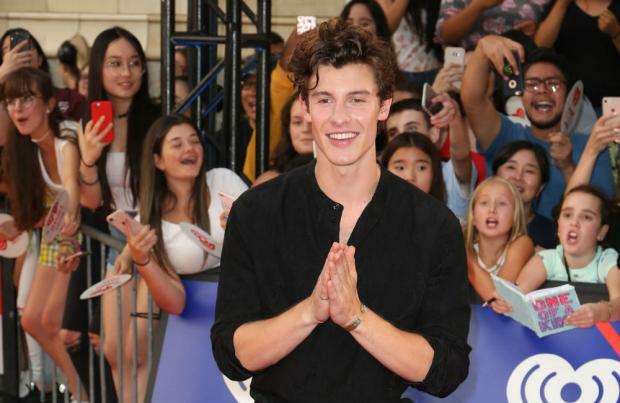 Shawn Mendes is in contention for six awards at the 2019 Juno Awards. The 20-year-old Canadian pop star is nominated for Album of the Year for his self-titled third studio album, Artist of the Year, Single of the Year for 'In My Blood', Songwriter of the Year and the Juno Fan Choice prize at the ceremony – which is dubbed Canada's answer to the Grammys. Responding to the news, Shawn tweeted: "6 nominations! Thank you @TheJUNOAwards x (sic)"
Following closely behind the 'Lost In Japan' singer is rapper The Weeknd, who has received five nods for Artist of the Year and Single of the Year' for his 'Black Panther' soundtrack collaboration 'Pray For Me' featuring Kendrick Lamar, R&B/Soul Recording of the Year – which he has won four times before – for the EP 'My Dear Melancholy' and the Fan's Choice accolade. Both the 'Starboy' rapper and 'Stitches' hitmaker will go up against one another for Album of the Year, along with Three Days Grace's 'Outsider', Jann Arden 'These Are the Days' and Hubert Lenoir 'Darlene'. Whilst in the Single of the Year category they will with compete with Alessia Cara's 'Growing Pains', Loud Luxury 'Bold' and 'Not A Love Song' by Bulow. This year's ceremony will be hosted by the singer Sarah McLachlan in Ontario, Canada, March 17.